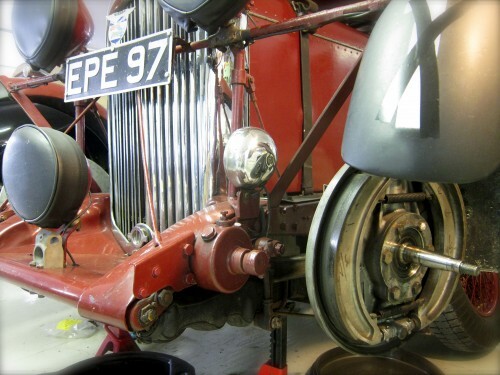 Today Peter created new bearing seals for the 1934 Lagonda M45 Rapide. The seals of the day did much the same job as today’s plastic over steel equivalent. 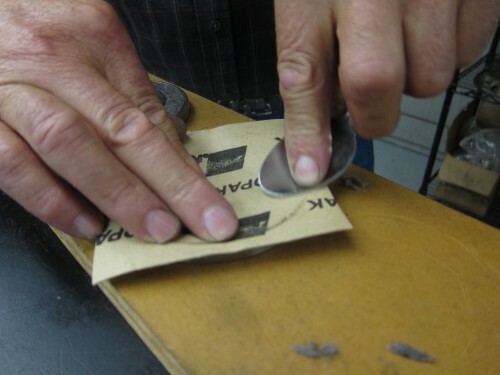 The main sealing surface is wool felt that, soaked in oil, does a good job holding most of the oil and grease in place. The tools of the trade are pretty simple ones: a spoon, a ball-peen hammer, scissors and a razor blade. 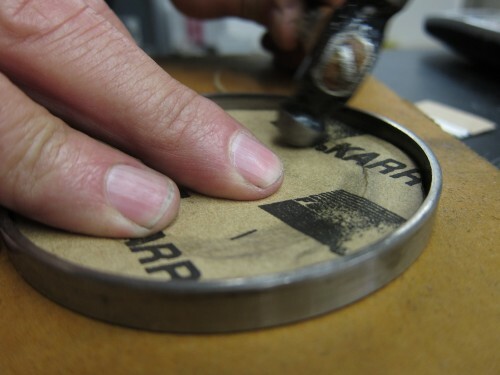 The thick wool felt is traced and cut via razor blade. 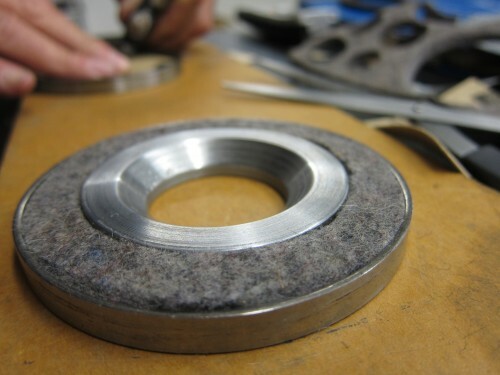 To make the wool a bit “proud” – to stick out like the chin of a duke – paper gasket material can be cut and built up behind the wool. A spoon and a ball-peen hammer are all that is needed to make an imprint to cut out. This twenties automotive seal technology was used in agricultural equipment for decades such as wheel seals on an Oliver or Cockshut tractor. 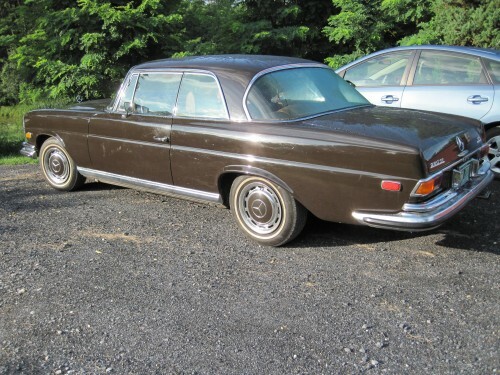 What late model Mercedes-Benz can you compare to this 1971 280 SE 3.5 to? A 1987 560 SEC is one example but what is the 2011 V-8 model called? The punch of Mercedes Benz V-8 engines feel great because they have so much low end torque which move these heavy cars with ease. 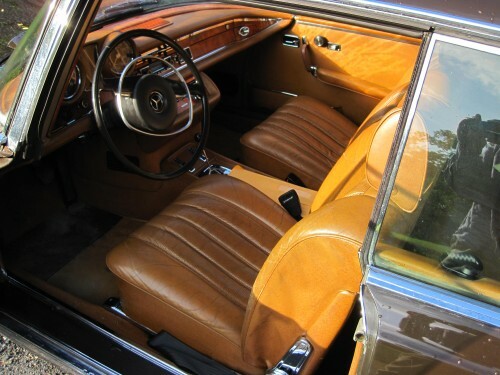 The interior on this car is completely original with no tears or damage to the leather. The wood on the “A” pillars shows some deterioration to the veneer but it’s appropriate condition for a well cared for car that’s 40 years old.